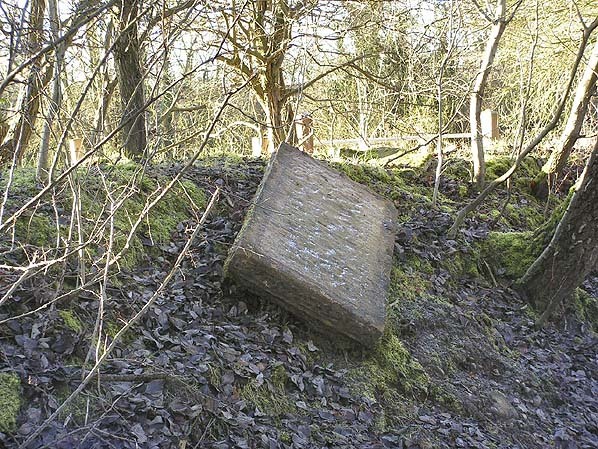 Present state: Demolished - the only evidence is an overgrown path linking to Hope High Level and one platform edge stone which survives in the undergrowth. Notes: Hope Low Level station was opened as Hope Passenger Exchange in 1867. The station was located on the London North Western Railway’s Saltney near Chester to Denbigh line which had originally opened as the Mold Railway in 1849. Hope Exchange was unusual in that it was not accessible by any road or public footpath. It effectively stood in the middle of a field. The purpose of the station was to provide an interchange facility with the Wrexham, Mold & Connah’s Quay Railway (WM&CQR) which had opened from Wrexham to Buckley in 1866 and which crossed over the Denbigh line to the west of the station site. The WM&CQR build a station on their line which was also named Hope Exchange. The stations were referred to as ‘High Level’ for the WM&CQR and ‘Low Level’ for the LNWR station. Hope Exchange ‘Low Level’ had two platforms which were linked by a barrow crossing at the eastern end. At the western end of the eastbound platform a footpath ran up the embankment of the WM&CQR line and connected to its ‘High Level’ stations southbound platform. Simple wooden huts on both platforms provided waiting facilities and staff accommodation. Hope Exchange ‘Low Level’ was served by local trains running between Chester and Denbigh. On the 1st of January 1905 the WM&CQR became part of the GCR and by that time it had been extended to Bidston on the Wirral which gave it access to the River Mersey at Seacombe. This opened op far more journey opportunities for passengers. By 1904 the ‘Low Level’ station had seven trains in each direction. In 1923 the ‘Low Level’ station became part of the London Midland & Scottish Railway (LMS) while the ‘High Level’ became part of the London & North Eastern Railway (LNER). In the first year of LMS ownership ‘Low Level’ was being served by eleven trains in each direction and by 1934 these had increased to thirteen. During the Second World War services at Hope Exchange were reduced and they would never recover to their previous levels. On 1 January 1948 both Hope Exchange, high and low levels became part of the British Railways (London Midland Region). On 7 November 1953 the station was renamed as Hope Low Level. At the same time the former WM&CQR was renamed as Hope High level. By the 1950s very few passengers were using either Hope Low Level or Hope High Level so British Railways closed them completely on 1 September 1958. Passenger trains continued to pass through the site of Hope Low Level until 28 April 1962. 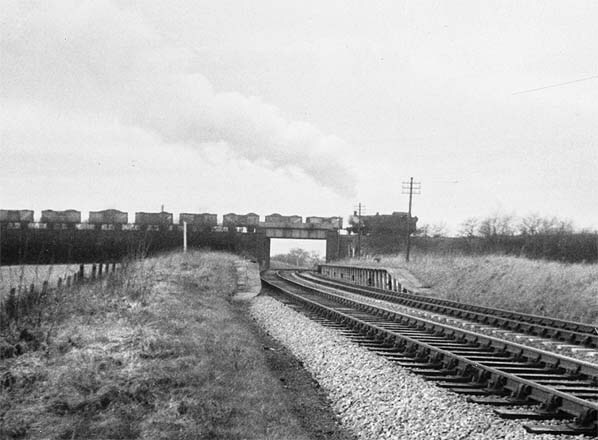 The line remained in use for goods services but on 2 February 1970 it was taken out of use between Mold Junction No 3 and Hope Junction. It had been singled through Hope Low Level at some point after 1962. It was lifted shortly after it was taken out of use. 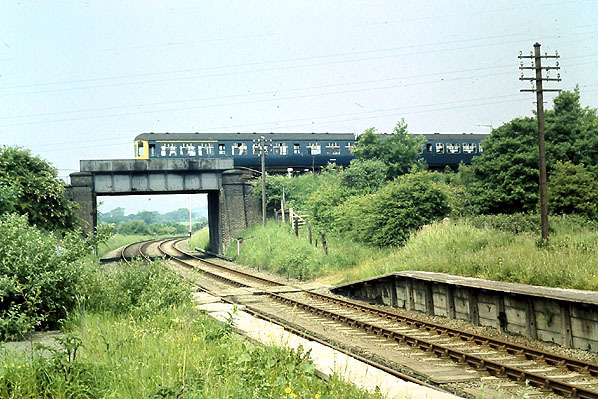 To the west of the Wrexham to Bidston line it remained in use linked to the former WM&CQR by a spur. The route survived until 1982. The site of Hope Low Level station became very overgrown although in recent years it has been cleared for agricultural use. The only evidence that Hope Low Level ever existed is a very overgrown footpath leading down from the still extant High Level Platforms and a typical wooden gate which can be seen deep in the undergrowth. 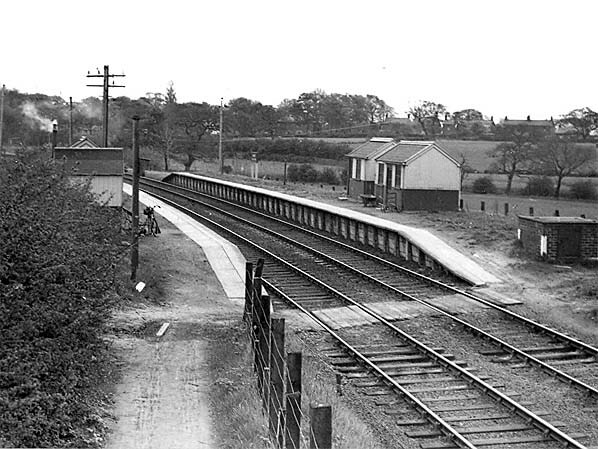 Looking easttowards Hope Low Level station in May 1955. The picture was taken from the footpath that connected Low Level to Hope High Level. As can be seen in the picture the station had no connection to the public highway being located in the middle of farmland. It existed purely as an interchange point. The platform to the left was used by Chester trains and the platform to the right by Denbigh trains. 1872 1:2500 OS Map. At this date the station was called Hope Junction. The Low Level platforms can be seen just above the words Hope Junction. To the north can be seen a single platform on the Wrexham, Mold & Connah’s Quay Railway which was linked to the low level station by a footpath. To the southwest there is a spur which linked the two systems. 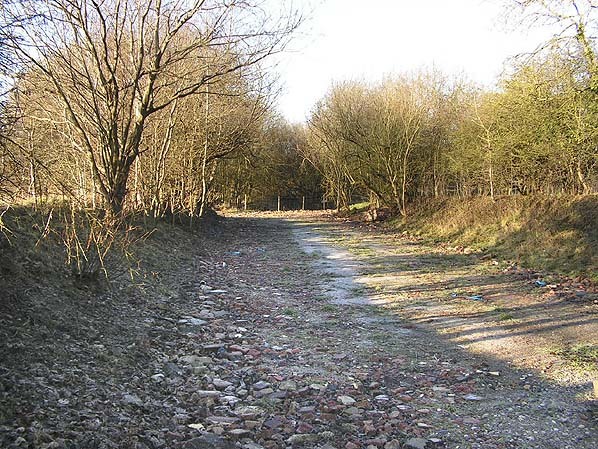 To the north west can be seen earthworks that would have created a further spur that would have allowed trains to travel direct between Mold and Connah’s Quay but it was never completed. 1912 1:2500 OS map. By this date the station had been renamed as Hope Exchange. So too had the high level station which since 1905 had been under the ownership of the Great Central Railway. To avoid confusion locals often referred to the stations as high and low level. The high level station had been enlarged and improved when the line on which it stood was doubled in 1890. Its two platforms are clearly shown on the map. Also by 1912 the connecting spur had been provided with additional sidings. Looking west from the west end of the down platform at Hope Low Level on 15 June 1968. The footpath that connect to Hope High Level can be seen to the right of the line beyond the up platform. Passing through Hope High level en route to Wrexham is a Park Royal DMU. The site of Hope Low Level after it had been cleared to form an access route for a local farmer in January 2010. The site of the platforms can clearly be seen as the brickwork that has been used to form a hard standing marks the site. The photographer is standing on the site of what would have been the westbound platform at its eastern end. The bridge which carried the former GCR Bidston to Wrexham line over the Denbigh line has been filled in. Trains still run along the GCR line passing through the site of Hope High level the site of which is beyond the trees on the right of the picture. A platform edge stone seen on the site of the westbound platform in January 2010.